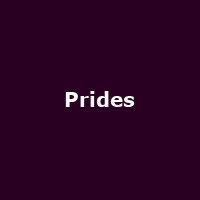 Prides are a Glaswegian synth-pop band formed in 2013, featuring Stewart Brock (piano, lead vocals), Callum Wiseman (guitar, piano, vocals) and Lewis Gardiner (drums). The band performed at the 2014 Commonwealth Games Closing Ceremony in Glasgow, playing the track "Messiah". The released their debut album, "The Way Back Up" in 2015.